Purchase your CD and we'll wrap it up and send it to you, Make sure you fill out all your details and we will calculate the shipping during the purchase process. We use paypal to manage our credit card transactions. 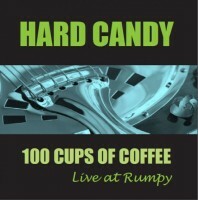 If you live in the Porirua/Wellington area and wish to pick up your new CD. Purchase you CD/s using the shopping cart, when you check out you can type "pickup" in the promo coupon box, this will give you free delivery so you wont be charged for this service. What it means is you will have to get hold of me and arrange to collect. The Gentlemen Bastards are almost universally regarded as the greatest rock band of all time. Much better than the Beatles and the Rolling Stones. Everyone says that. Everyone. And Lovelands has been universally acclaimed as the world's greatest music venue. 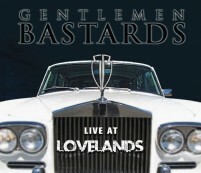 Now, the two greatest things in the whole wide world come together in what must surely be the greatest album of the last 5,000 years: Gentlemen Bastards: Live at Lovelands. This album has made it to number one on the Rolling Stone's 100 Best Albums Ever list. So you have to buy it. Even if you don't own a CD player any more. Limited offer to existing members only. Log on to get your special existing memebrs price of $66.60 Support Lovelands by purchasing a 2019 Membership Card. This is not just any memebrship card. With this fine piece of coloured plastic you will be able to: enter all official Lovelands gigs at no charge At every gig, be in the draw for one free raffle ticket drawn on the night. By supporting Lovelands and purchasing this fine piece of hardware before 28th February 2019, as a special offer you will be able to have your card personalised with your own name. This is the 5th year this has been done at Lovelands so this card will be a collectable and MAY even increase in value... well at least in the future you will be able to remember the good times you had by looking at your name on this exclusive card and remember what you got up to way back to 2019. Come on folks, jump on board and order yours today. If you are into doing the calculations about how many gigs you attend each year, please note this is all about supporting the burgeoning underground music scene at Lovelands. Support Lovelands by branding yourself with one of our signature zip front hoodies. These get made to order, so once you have purchased one of these fine hoodies we need a bit of time to sort them. Be the coolest person in the entire universe with a Lovelands hoddie that will make you the talk of the town, and be treated like the Queen of England at 2019 Lovelands gigs with your free pass and hearty discounts around the town. Feeling Generous? Well how about just adding a $5 donation to you shopping cart, Lovelands is a great place but we gota pay the rent some how. If you have a credit card use this to pay for your practices, you can pay for more than one at a time. After travelling hundreds of kilometers and playing for hours, this album is the result of a weekend jamming in the old school house fondly named Rumpy, located on the beautiful farm of Peter Charlton-Jones and Mary Kippenberger in the (sometimes) sunny Hawkes Bay. Featuring Karen Clarke (guitar and vocal), Bob Cooper-Grundy (guitar, mandolin, slide guitar, banjo and vocals), kate Marshall (accordian, fiddle, flute and vocals), Wayne Morris (drums) and Warwick Hill (bass). One real woman's songs from walking real miles. "Long story short, Barbie and I grew up together. In fact, she just beat me to fifty. Since always Barbie has been telling me how it should be. That's one hell of a lot of mental noise over a life time thus far! 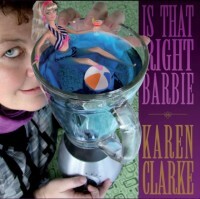 Well, this kiwi girl is all growed up now and finally it's my turn to tell Barbie a thing or two." 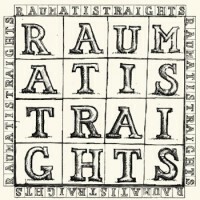 The debut album from Raumati Straights, featuring Nigel Patterson, Troy Hunt, Tim Jarray and Luther Hunt. Members Log on! Log on to get your special existing members price of $00.00 Support Lovelands by purchasing a 2019 Couples Membership Card. This is not just any memebrship card. With this fine piece of coloured plastic you will be able to: enter all official Lovelands gigs at no charge At every gig, be in the draw for one free raffle ticket drawn on the night. 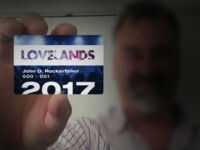 This is the 9th year this has been done at Lovelands so this card will be a collectable and MAY even increase in value... well at least in the future you will be able to remember the good times you had by looking at your name on this exclusive card and remember what you got up to way back to 2019.